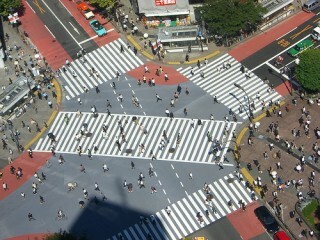 London has launched their new crossing at Oxford Circusm based on the Shibuya ‘desire path’ model in Tokyo. It’s a brilliant piece of design thats has actual human behaviour at it’s heart, rather than a preconceived idea or persuasive approach. 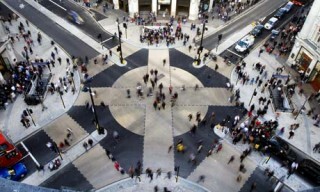 Basically this means that all those times you walked diagonally across a crossing, you can now do it in an environment specifically designed for this.